This morning, the White House released its second action plan (PDF) for improving the state of open government in the United States. The action plan is required for U.S. participation in the Open Government Partnership, an international, multilateral initiative that seeks to push nations to make and keep commitments to open government. As I previously reported, the action plan commits to modernizing the Freedom of Information Act, open more government data, improve the management of natural resources and engage citizens in innovation. Additionally, the final plan (a draft was released earlier this fall) includes commitments to join the Global Initiative on Fiscal Transparency (GIFT), promote participatory budgeting, increase the transparency of spending and foreign assistance, improve the participation of the public in rulemaking and a number of other measures that expand existing commitments. Initial reactions from open government advocates — many of whom, it must be said, worked to shape the contents of the plan — are strongly positive. “The United States helped found the Open Government Partnership to challenge other countries to make concrete commitments to make themselves more transparent and accountable to the people,” said Patrice McDermott, executive director of OpenTheGovernment.org, in a statement. We are impressed by the scope and detail of the plan, as well as the administration’s commitment to continue to engage and refine those commitments for which detailed goals are not yet available. This broad and ambitious plan tackles important open government issues that we have long been advocating, including: 1) strengthening the Freedom of Information Act (FOIA), 2) improving information about government spending, and 3) continuing to open government data to the public. Properly implemented, these commitments can make government openness work for the public and change how government operates. The Center for Effective Government looks forward to working with the administration to ensure the outlined goals are executed over the next two years. There are some new and meaningful commitments. The proposed FOIA advisory board and committee could be transformative, and commitments to greater transparency in the extractives industry extend the significant new commitments that began in the US’s last plan. More disappointing are the commitments around spending transparency, which would build on existing efforts to improve federal spending transparency in Congress and the federal government, but but offer only vague commitments. The National Action Plan also outlines a process to ensure federal agencies treat their data as an asset that should be open to the public, (long a Sunlight priority), but without adding much new detail to a process that is already well along its path. And money in politics, like in the first National Action Plan, is missing entirely. The measures that are likely to draw the most attention are those that relate to electronic surveillance and national security, and to whistleblower protections. • Share Data on the Use of National Security Legal Authorities. The Administration will release annual public reports on the U.S. Government’s use of certain national security authorities. These reports will include the total number of orders issued during the prior twelve-month period and the number of targets affected by them. • Review and Declassify Information Regarding Foreign Intelligence Surveillance Programs. The Director of National Intelligence will continue to review and, where appropriate, declassify information related to foreign intelligence surveillance programs. • Mandate Participation in the Office of Special Counsel Whistleblower Certification Program. To ensure that Federal employees understand their whistleblower rights and how to make protected disclosures, the Administration will require covered agencies to complete the U.S. Office of Special Counsel’s program to certify compliance with the Whistleblower Protection Act’s notification requirements. • Implement the Presidential Directive on Protecting Whistleblowers. The U.S. Government will continue to work to implement the President’s October 2012 Policy Directive on Protecting Whistleblowers with Access to Classified Information (PPD-19), including by ensuring strong, independent due process procedures; awareness of protections; and agency understanding of the protections available to government contractors under the directive. • Advocate for Legislation to Expand Whistleblower Protections. With the Administration’s support, Congress recently enacted legislation to strengthen whistleblower protections for most Federal Government employees and contractors, but there are still gaps in statutory protections available to certain government employees and contractors. The Administration will continue to work with Congress to enact appropriate legislation to protect these individuals. • Explore Executive Authority to Expand Whistleblower Protections if Congress Does Not Act. While statutory protections are preferable, the Administration will explore additional options for utilizing Executive authority to further strengthen and expand whistleblower protections if Congress fails to act further. The administration remains silent on public registries of beneficial owners of companies,” he writes. “Sigh. David Cameron and the UK government made a pioneering commitment to public registries of who really owns UK companies at the OGP summit in London. The US is now in the awkward position of having to defend keeping this valuable data private to only government regulators and investigators. That’s an increasingly thin reed. There’s certainly opposition to public registries in Congress, but the White House could have at least committed to publicly pushing for public registries. Instead, mum’s the word. …a new interagency Classification Review Committee is being established with White House leadership to evaluate proposals for classification reform, and to coordinate their implementation throughout the executive branch. The creation of such a body was the primary recommendation of the Public Interest Declassification Board last year, and it was strongly endorsed by public interest groups. Both because of its interagency character and especially due to its White House leadership, the new Committee has the potential to overcome the autonomous classification practices of individual agencies that have contributed to the explosive growth in secrecy. Positive results are naturally not guaranteed. The Administration has not embraced an explicit theory of how overclassification occurs, or even how overclassification is to be defined, and therefore it is not yet well-equipped to address the problem. The new Plan notes that in June of this year President Obama directed the Intelligence Community to declassify and make public “as much information as possible” about intelligence surveillance programs. But in an optimally functioning classification system, the President’s directive would have been redundant and unnecessary; the system would already be declassifying as much information as possible. Of course, the existing classification system is not functioning optimally. That is the problem. So either the President needs to issue individualized directives to all agencies on every conceivable classified topic to “declassify as much as possible,” or else the new White House interagency Committee needs to find alternate means to effectively communicate the same imperative. Wonderlich also expressed a deeper concern about the plan: its lack of ambition, focus upon political power and personal investment or commitment of political capital from President Obama. Unfortunately, if we imagine what a National Action Plan could be with a committed, engaged President, and senior political staff at the White House who discuss and engage with integrity issues, rather than treating them as political liabilities, we imagine a wholly different world. Incremental working groups and vaguely redundant reporting procedures would be replaced by bold proposals that affect political and state power, and we’d see a White House that talks more about the transparency we’re building than the transparency they use as a shield against critics. That’s clearly not the National Action Plan the White House released today. All that being said, the fact that these measures are in the plan shows that the Obama administration has heard the criticism of civil society regarding secret surveillance laws, overclassification, and prosecuting whistleblowers and included elements addressing them. That’s better. Let’s see what they do next. This post has been updated with reactions from open government advocates over time. 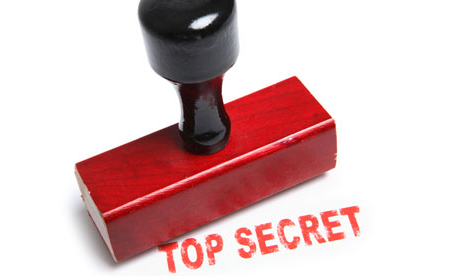 David Ferriero, the Archivist of the United States, published a new blog post this week regarding prioritizing the declassification of government secrets. “The Public Interest Declassification Board (PIDB) recently hosted an open meeting to discuss its recommendations to the President on Transforming the Security Classification System, focusing on declassification prioritization,” he said. The task before the National Declassification Center is massive, with an estimated backlog of 354 million pages awaiting final declassification review. For more on this, read Steven Aftergood’s post on declassification prioritization and then weigh in transforming classification, if you’re so inclined.